Donald Trump has fired the acting US attorney general, after she questioned the legality of his immigration ban. 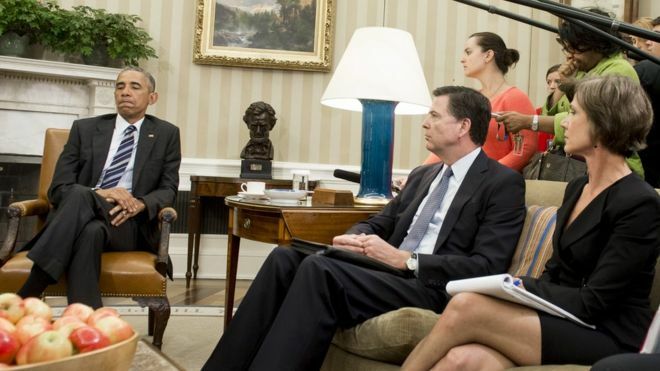 Sally Yates, who had been appointed under Barack Obama, earlier ordered justice department lawyers not to enforce the president’s executive order. In a statement, the White House said Ms Yates had “betrayed” the department. Dana Boente, US attorney for the Eastern District of Virginia, replaces her as acting attorney general. 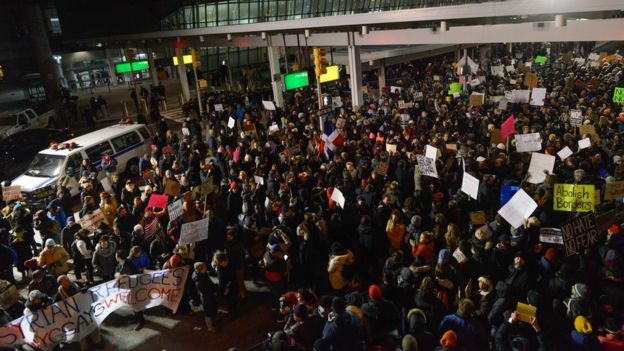 Mr Trump’s order temporarily banned nationals from seven Muslim-majority countries from entering the US, and sparked street protests in the US and abroad. In a letter, Ms Yates had said she was “not convinced” that the president’s order was lawful. “As long as I am the acting attorney general, the department of justice will not present arguments in defence of the Executive Order,” she said. But the White House said she had “betrayed the department of justice by refusing to enforce a legal order designed to protect the citizens of the United States”. “President Trump relieved Ms Yates of her duties,” a statement from the press secretary said. Her replacement, Mr Boente, was also appointed by Barack Obama, in 2015. He was confirmed by the US Senate – making him eligible for appointment while Mr Trump waits for his own nominee to be approved. Senator Jeff Sessions is awaiting a confirmation hearing for the role later this week. Meanwhile, hundreds of diplomats and foreign servants have been drafting a “dissent CABLE” to formally criticise the president’s executive order. A draft version of the cable said that immigration restrictions will not make the US safer, are un-American and will send the wrong message to the Muslim world. The ban bars citizens from Iraq, Syria, Iran, Libya, Somalia, Sudan and Yemen. The White House has consistently defended Mr Trump’s executive order despite the controversy, with press secretary Sean Spicer saying diplomats should “get with the programme”. In addition, former President Barack Obama has apparently broken with the convention of former presidents avoiding comment on their successors. Commenting on the protests about the immigration order, President Obama said he was “heartened”. “Citizens exercising their constitutional right to assemble, organise and have their voices heard by their elected officials is exactly what we expect to see when American values are at stake,” he said in a statement, which did not mention Mr Trump by name. 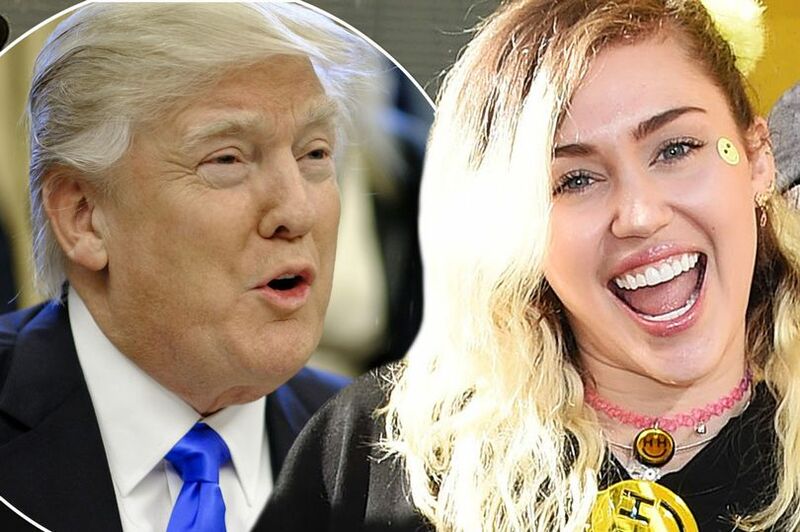 Miley Cyrus has shared a defiant message of unity in response to Donald Trump’s controversial decision to implement a temporary ban on Muslim immigrants entering America . The Party In The USA singer has hit back at the actions of the country’s president, and called for people to show compassion for all people. Taking to Instagram, she posted an artistic collage of four images of the Statue of Liberty – each coloured either red, yellow, blue and green – and captioned it with hearts of the same colours. Apostle Johnson Suleman Who visited DSS Headquarters In Abuja Today , January 30th 2017 has been reportedly released , SSS operatives have interviewed Apostle Johnson Suleiman and he has been released to go about his business. The General Overseer of Omega Fire Ministry, Apostle Suleiman, is now at the headquarters of the Department of State Services, Abuja. He arrived a few minutes ago. Suleiman is currently undergoing interrogation over his comments in which he was alleged to have directed his church members to kill any herdsman found in his church premises. I write to call your attention to the media report of the foiled arrest of Apostle Suleiman, a Christian pastor while on an out-reach in Ekiti. As reported by the Tribune, Dr Suleiman of Omega Fire Ministries was alleged to have preached against alleged plots to Islamise Nigeria and had told members of his church back in Auchi, to fight back should they be attacked by herdsmen, who have been targeting Christians for decimation. What could have been the fate of this man of God had these herdsmen with security ID cards had their way to take him away at 2 am? 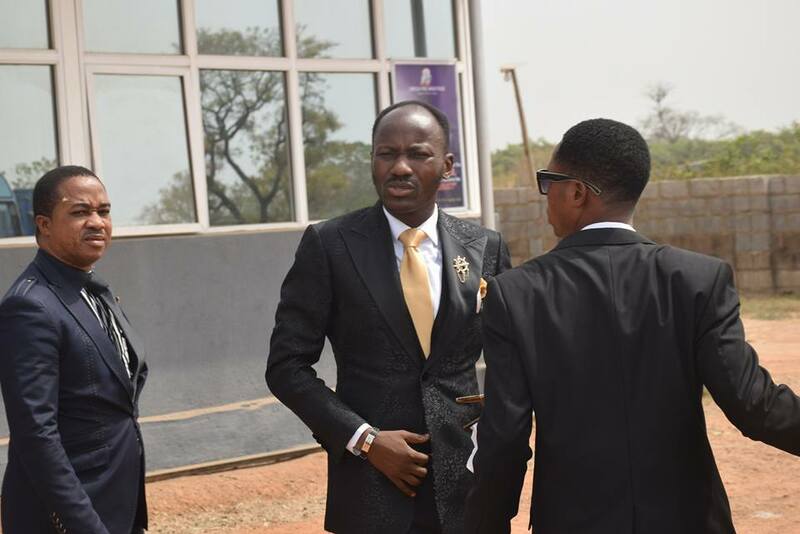 Apostle Suleiman is not a security threat to Nigeria. The Fulani herdsmen are. The apostle represents the collective conscience of us all – faith, liberty and the rule of law. Let me explain that there is a gradual decent to lawlessness in this country. People now defend themselves when they cannot trust the state to defend them and that was why the man of God called on the governor. His Excellency Gov. Fayose has no right to stop arrests by DSS but he knows it is also in his oath of allegiance to stand by the constitution and protect the lives and properties of anyone in Ekiti. He knows DSS could have invited the Man of God to their office during the day but they came at night – just like the Fulani herdsmen that Apostle Suleiman had asked Christians to resist. So DSS operatives can be awake at 2am and they never arrested at least one herdsman anywhere in the country, ambushing villages at that time? According to President Kennedy, Those who make peaceful dialogue impossible are gradually making violent change inevitable. The polity is getting heated up just like your first coming in 1984. A little bit of history; under your watch, Brigadier Idiagbon arrested Rev. Dr Uma Ukpai for no reason other than that he is a Christian evangelist. He went after the respected Archbishop Idahosa while the notorious Sheik Gumi was having a field day fuelling riots against Christians. This time around, Pastor Adeboye has been coaxed into resigning (in an effort to precipitate crises in churches) and Apostle Suleiman is under hunt. Even if the courts grant him bail, he will remain under incarceration like Dasuki, Kanu, and Fani-Kayode etc. Mr President, this is not 1984! When people are elected to serve the nation and develop its people, they should do just that. Abandoning the purpose of governance to go after Islamization of other people, who are not even interested in Islam, is a travesty of the scoundrel. Many Islamists in government today think it is an opportunity to show off their zealousness. We will see about that. Apostle Suleiman’s crime is that he told Christians no longer to be naïve under ceaseless attacks. The time has come for the Presidency to say at least one sentence to let Islamists know that killing Christians is not an injunction of Prophet Muhammed and even if he wanted Christians killed in place of rams, government is never the machinery to actualize that. Since your election, islamists have ravaged Christian villages, raped, looted, abducted southern girls and married them off to northern rich men and even beheaded a Christian woman who unfortunately did not have Fayose’s phone number. These northern Islamists have become gangsters on the loose and NOT A SINGLE ARREST or condemnation yet? Let me finally explain the God of the Christians. His name is Jehovah and He is hard to pin-point. He often makes Himself manifest in many ways such as Jehovah Nissi (The Banner of the Christians), Jehovah Shammah (The Lord Is always there for Christians), Jehovah Jireh (The Lord that Provides for Christians), Jehovah Shalom (The Lord that offers Peace to Christians), Jehovah Sabaoth (The Lord that fights Christians’ battles). He will always show up to intervene for His children. I advise Fulani people in government to stop provoking Him. This explanation is not a religious exercise, Mr President; remember Egypt and Pharaoh, there is a memorial of Nebuchadnezzar in Iraq today and of Senecharib in Syria. The Temple mount in Israel is a proof of how He handles recalcitrant people. There are enough archaeological remnants of what He did to the stiff necked. He is not only the God of history and archaeology; he is also the God of the now as you shall soon see. Let the Nigerian Muslim leadership call their people in government to order, to at least know where their usefulness stops. In your first coming, the incessant harassments of Christian ministers led Dr Uma Ukpai and Rev. Ukaegbu to prophesy the end of your regime and it was so. The hypocrisy of letting herdsmen free to kill and then picking on Apostle Suleiman and other men is something for which his God will not fail to reply you in 2017. We stand against the shameful silence of Nigerian government over killing of Christians in Nigeria; intimidation/ harassment of the church with state security agencies and the Islamic Agenda of this regime. The God who did not create Nigeria will not rule Nigeria in Jesus Name. 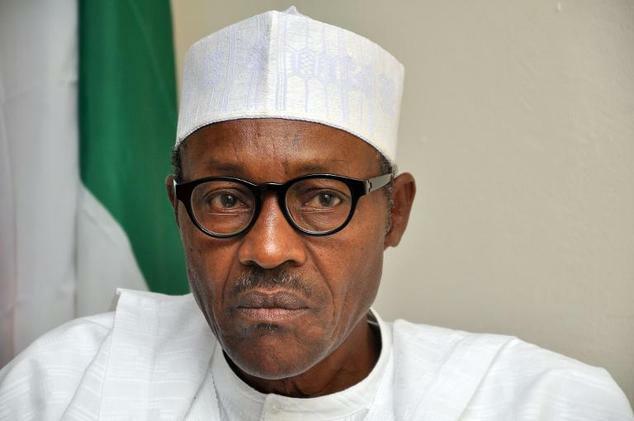 The Presidency on Sunday said the invitation of the General Overseer of Omega Fire Ministries Worldwide, Apostle Johnson Suleman, by the Department of State Services over inciting comment was in order. He said the DSS did not have to wait for a presidential directive as being alleged in the social media before carrying out its duties. A Presidency official told journalists this on the condition of anonymity. He said for openly calling for the killing of Fulani herdsmen, all religious leaders be it Christian, Islamic or traditional ought to condemn the call and bring the pastor back to order. “The decision of the DSS to invite the said preacher for talks this week over the statements he is reported to have made is in clear demonstration of the agency’s duty that does not require any kind of presidential directive as is being speculated on the Social Media. “Anyone, especially leaders, who engages in such questionable conduct, ought to at least be asked a few questions. We just hope religious leaders will also at least call on the said pastor to behave in a Christ-like manner,” he said. The official said while the government understood the emotional reactions arising from a breakout of violence, the country does not need a religious leader calling for more violence. “Is CAN aware of this kind of statement? Is it in line with Christian conduct? Why haven’t there been a condemnation of this kind of criminal conduct? There is some understandable outrage about cases of violence in Southern Kaduna, yet this coming from a religious leader is certainly even more outrageous,” he said. 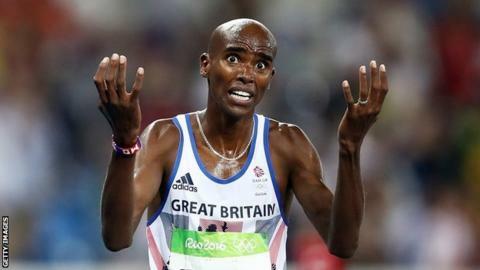 Britain’s four-time Olympic gold medallist Sir Mo Farah has criticised US President Donald Trump for imposing an order that leaves him unsure whether he can return to the United States. Farah, 33, was born in Somalia but has lived in Oregon for the past six years. Somali nationals are among those banned from travelling to the US under the executive order issued on Friday. “It’s deeply troubling that I will have to tell my children daddy might not be able to come home,” said Farah. Farah said he believed Trump’s policy “comes from a place of ignorance and prejudice” and his story is “an example of what can happen when you follow polices of compassion and understanding, not hate and isolation”. It is unclear whether Farah, who moved to Britain aged eight, will be able to return to the US. Trump’s executive order halted the entire US refugee programme and also instituted a 90-day travel ban for nationals from Iran, Iraq, Libya, Somalia, Sudan, Syria and Yemen. The executive order also applies to those who hold dual nationality with one of the listed countries. On Saturday, a US judge issued a temporary halt to the deportation of visa holders or refugees stranded at airports. Farah does not have dual nationality or hold a Somali passport and it is understood his advisers are trying to clarify the situation with the US authorities. The athlete is at a training camp in Ethiopia as part of his preparations for August’s World Championships in London, and is not planning to return to the US for a number of weeks. He said: “I am a British citizen who has lived in America for the past six years – working hard, contributing to society, paying my taxes and bringing up our four children in the place they now call home.